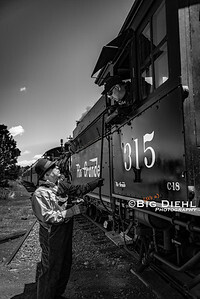 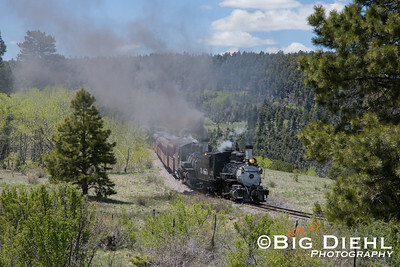 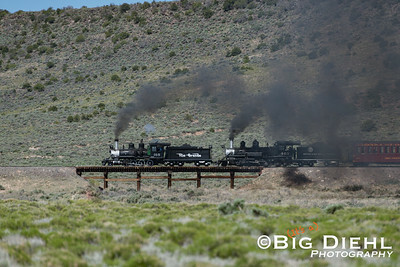 Photos from the 2017 season on The Cumbres and Toltec Scenic Railroad. 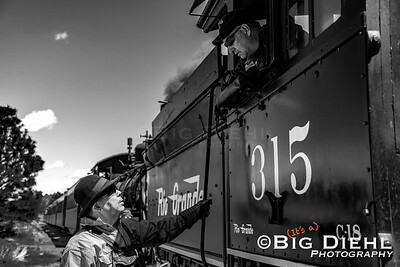 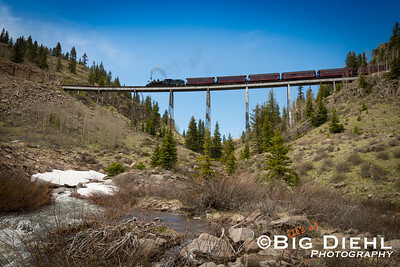 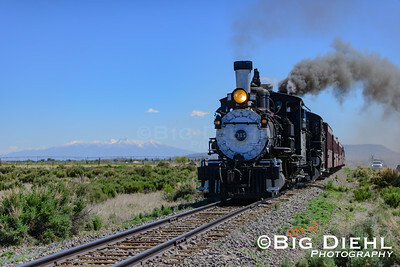 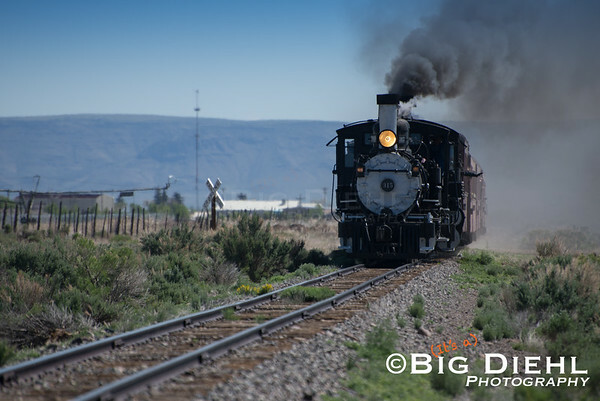 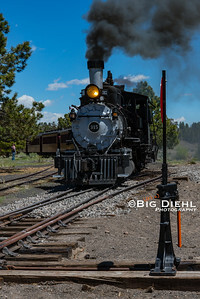 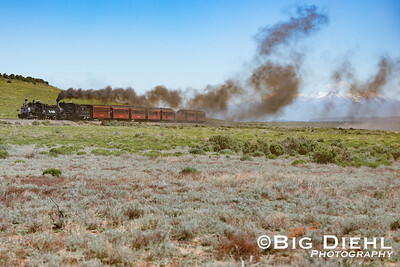 Highlights include 463 disguised as Rio Grande Southern 455 (before it's infamous disfiguring wreck) and The Durango Railroad Historical Society's 315 painted with a flying Rio Grande logo. 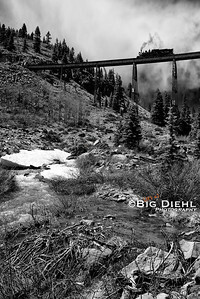 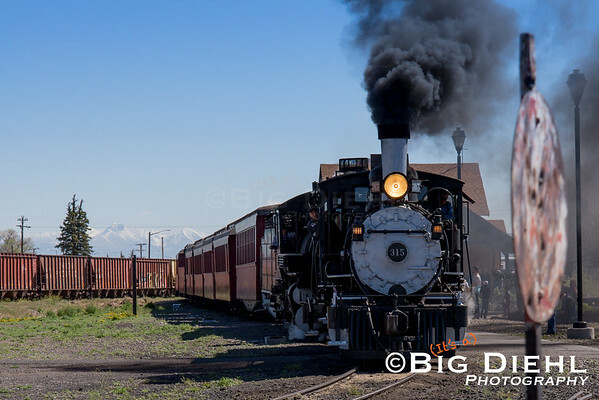 Pomp and Circumstance over, the first train of the 2017 season on the Cumbres and Toltec positions on the platform for boarding as Mt Blanca looms in the distance. 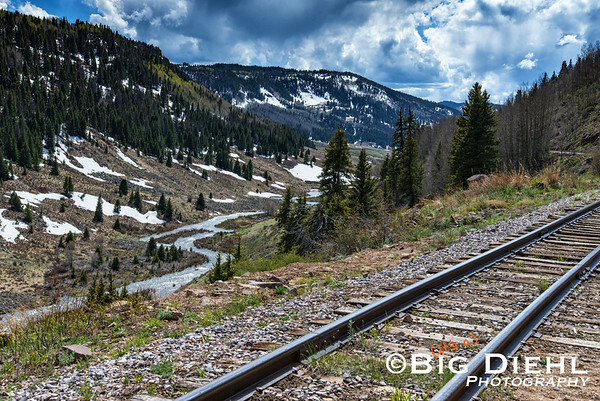 Mt Blanca, Colorado's fourth highest peak rises in the distance. 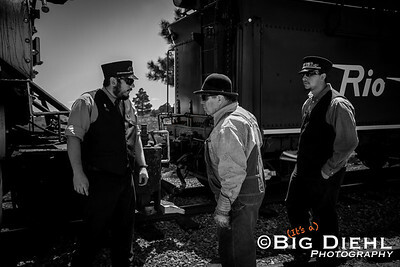 Stopped at Big Horn, the crew converses on a plan of attack on a problem currently vexing their train. 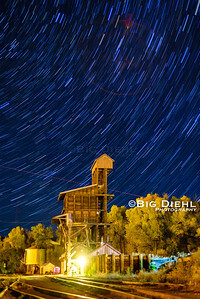 Created in StarStax, this composite image of Chama's famed Coal Tipple basks in the sodium lights underneath the stars. 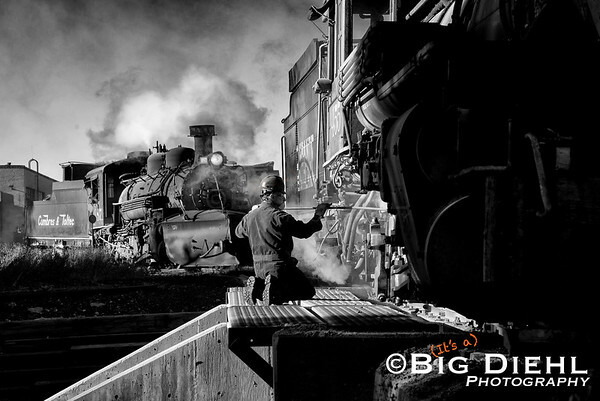 As part of the daily ritual of bringing a steam locomotive to life is the cleaning of the ash pan. 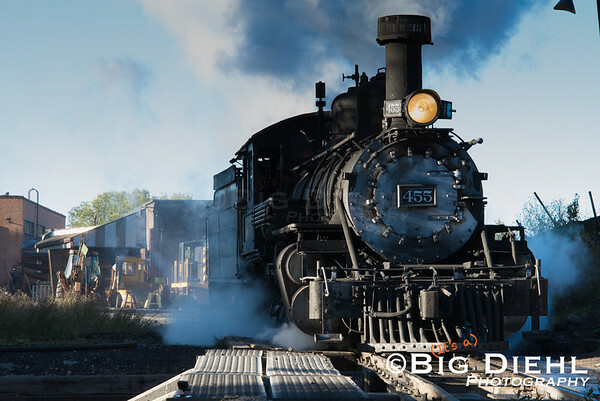 Here we see the 455 making its way from the engine house to the ash pit where its fire will be cleaned.